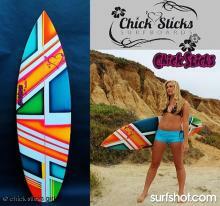 Chick Sticks is a company located in Oceanside, Ca that builds Surfboards for Girls. These boards are more than catchy names and beautiful paint jobs, my shaper Luiz Masuzzo and I took performance shapes and with my input made them Girl Friendly. These are Performance Boards for Girls with just the right amount of width and foam to help with paddling, catching waves and duck diving. 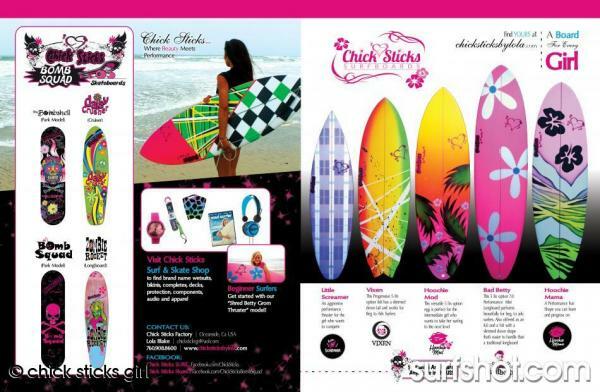 Chick Sticks offers softer noses and tails and attention to rocker to help you when you’re just starting out or to take your surfing to the next level. The Chick Sticks Factory uses only the highest quality blanks, colored stringers and glue line with multiple fin set ups to make every shape as versatile as possible. Everything is done ‘in house’ to keep the quality exceptional and all boards come with Full Paint and Fins. 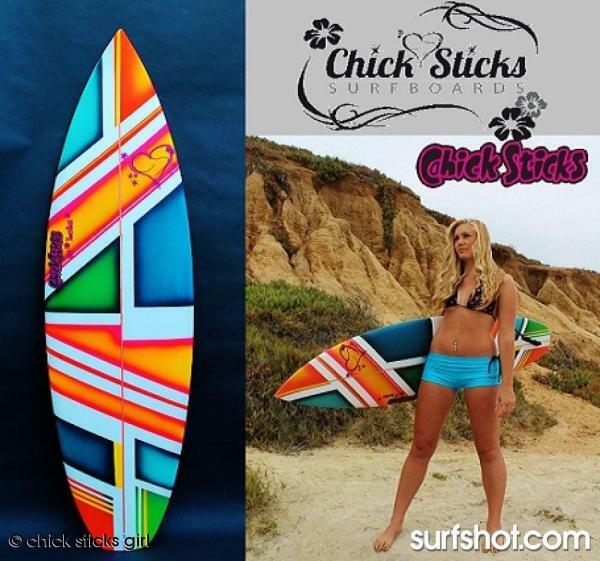 Chick Sticks offers 6 Fresh board models to choose from. Each comes with a unique and beautiful full paint and fins. Choose from 30 beautiful paint designs or I will custom paint your design.